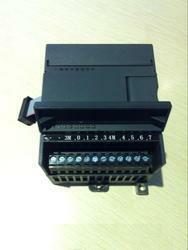 Our range of products include analog expansion module and digital expansion module. 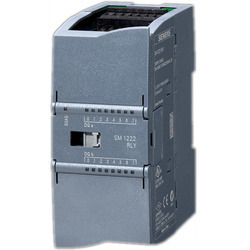 Analog Expansion Module for the connection of sensors and actuators, which act as the interface of the PLC to the process, are offered by our company. These modules are developed at our company with the aid of our modern infrastructure and well distinguished ideas of our engineers. With our profound vision of satisfying our clients and to cater to their needs , we supply these analog modules at reasonable prices.Compact design, high speed, selectable connection method in addition to assurance of longer-functional life, are some of the key characteristics of our products. Our company is engaged in the profound business of offering Digital Expansion Module for the connection of sensors and actuators. Modules with varied technical specifications are available for all popular applications. These systems are especially designed by our competent engineers, with the aid of technically advanced infrastructure. To cater to the requirements of our customers, these modules can be purchased from the market at reasonable prices. Configured with flawless features, these modules are our recommended offerings.